Delicious, quick and easy to make Cheese Chicken you can even use pre-cooked chicken for the speediest meal ever! 1.Spread the Laughing Cow cheese wedge all over the tortilla. 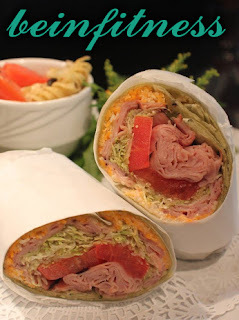 2.At one end, layer the deli meat, along with fresh vegetables. 3.Layer fresh spinach leaves on tortilla. 4.Roll up starting with the end with meat and vegetables. 5.Slice in half and serve.